The Electro-Voice 635A and 635A/B are designed for exacting professional applications such as film production, recording, broadcasting, and the more demanding PA applications. 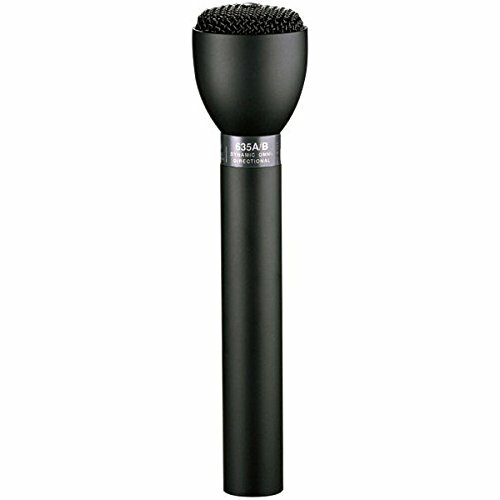 The high output level, and low sensitivity to mechanical shock, make the 635A and 635A/B excellent for interviews and for pass-around use in audiences. The 635A and 635A/B feature a diaphragm which permits very smooth response over a wide frequency range. The diaphragm withstands humidity and temperature extremes, corrosive effects of salt air, and severe mechanical shocks. It is practically indestructible with normal use. A four-stage pop and dust filter ensures a completely pop-free performance and virtually eliminates the need for an external windscreen during outdoor use. An internal shock absorber effectively reduces the pickup of cable and other noise generated by external contact.